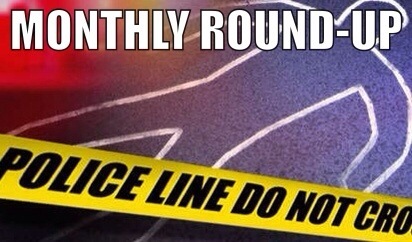 Welcome to my monthly round-up for June 2014. 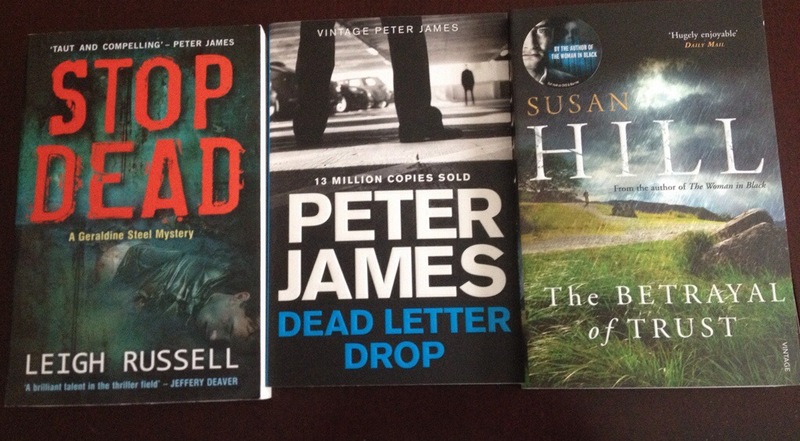 These posts showcase the books I’ve bought, begged, borrowed or won (I draw the line at stolen!) during the previous month. I’ll try to mention everyone that appears in the blog, in a tweet when I publish the post, but I apologise in advance to anyone I’ve forgotten. 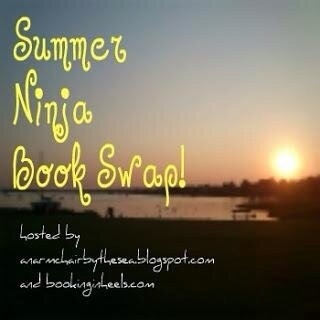 I took part in the summer book swap organised by Ninja Book Swap. The idea is to sign up to send a parcel to a fellow swapper containing a book (or 2) from their wish list and a small gift. I hope to post a blog update soon with details of my parcel from the swap. I was nominated for the Very Inspiring Blogger Award by Raven at Raven Crime Reads. This is my first blogger award nomination and I really am chuffed to receive it! Lifeless by Mark Billingham. Read June 2014. The fifth in the Tom Thorne series. I’ve thoroughly enjoyed the earlier books in this series but I found it hard to get into this one. I think the main reason was that I found it hard to believe that Thorne’s undercover assignment could have gone ahead. Consequently I spent most of the time muttering ‘That wouldn’t happen’ and similar to myself. 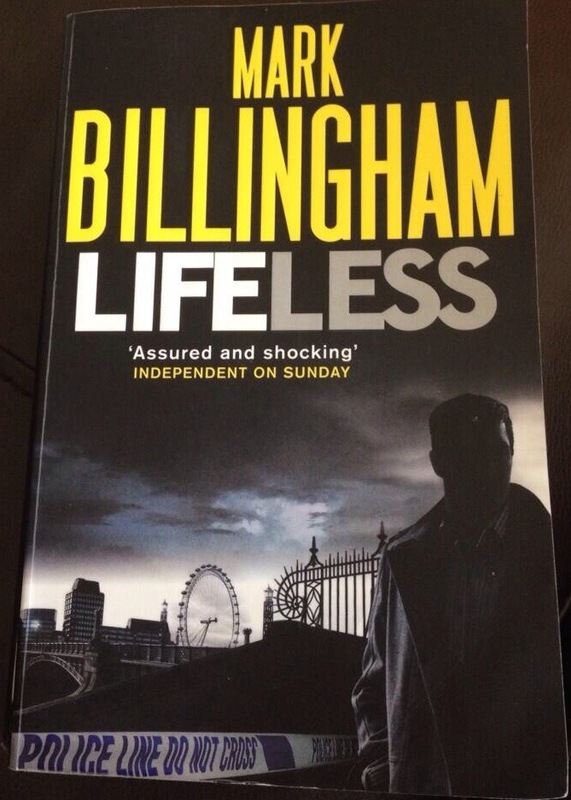 I actually put Lifeless aside three times to read other books, but there was no way I would abandon it completely – I have faith that the next books in the series will grab me as Mark Billingham’s books usually do. 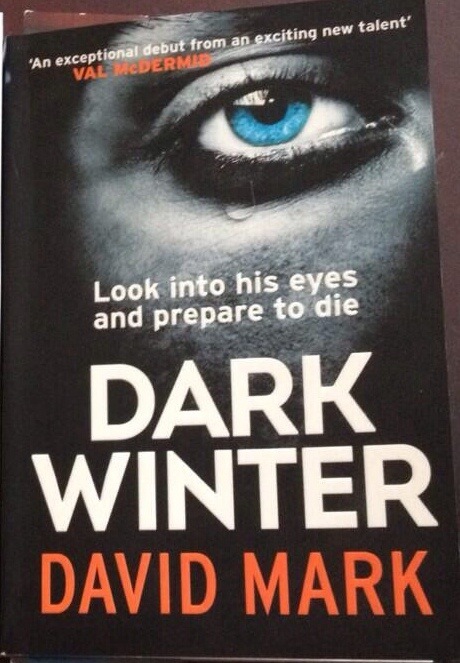 Dark Winter by David Mark. 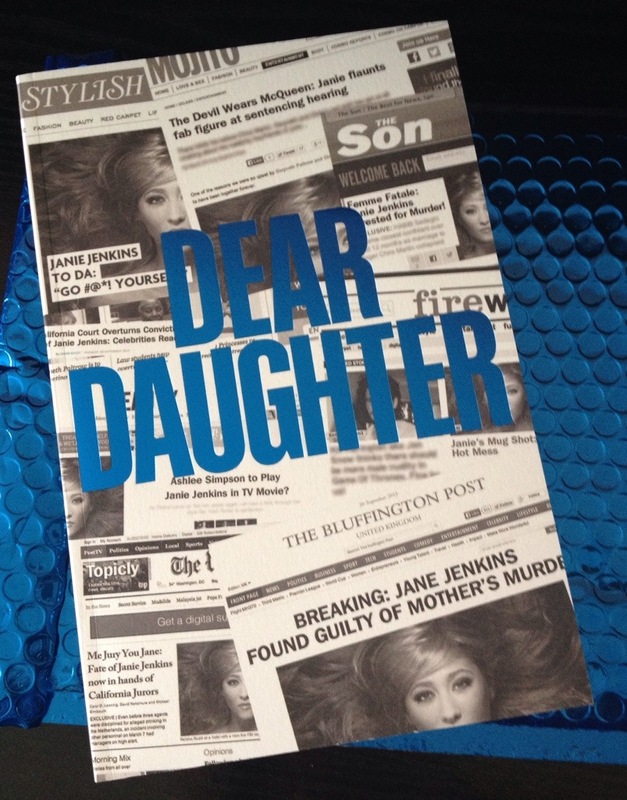 Read June 2014. This book grabbed me by the collar, demanded my full attention and I don’t think it will loosen its hold on me for some time. The cover (and my own research) told me that this was the author’s debut novel but this was hard to believe for a couple of reasons. First of all the writing was wonderful with a rich use of language and a flowing readability. The second reason I found quite annoying – there were a lot of references to DS Aector McAvoy’s back story – so much so that I almost became convinced that I had missed a book in a series. However that is my only complaint about Dark Winter. 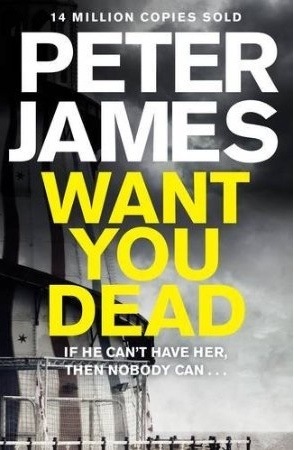 The plot was brilliant and some of the action was quite horrific but contributed to a fast paced thriller. McAvoy is a fascinating main character and I’m looking forward to the next instalment in his story (Original Skin) very soon. I’m pleasantly surprised and delighted to have been nominated for the Very Inspiring Blogger Award by Raven at Raven Crime Reads. 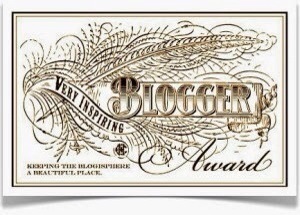 This is my first blogger award nomination and I really am chuffed to receive it! I started my blog at the end of January this year as a way of tracking my reading and documenting my reviews. Since then I have met (online) dozens of fellow reading addicts and enjoyed comparing notes on books we’ve read and recommendations for others. I’ve also enjoyed connecting with authors and others in the publishing world, and tried books that I wouldn’t have previously come across. Blogging has enriched my reading experience and I hope that by sharing the books I’ve enjoyed I can introduce them to other readers. The rules of the award state that I should share 7 things you may not know about me, and list 15 other blogs I find inspiring. I’m aware that some on my list have been nominated by others – I hope you won’t mind me duplicating. 1. I’ll read any scary/gory/disturbing book but can’t watch horror films. 2. I enjoy watching most sports but I just don’t get rugby. 3. I hate going on holiday (i.e. Package tour type holidays). 4. I’m (very) allergic to cats. 5. I have a degree in Business Studies. 6. My favourite quote is Billy Connolly “Before you judge a man walk a mile in his shoes. After that, who cares? He’s a mile away and you’ve got his shoes”. 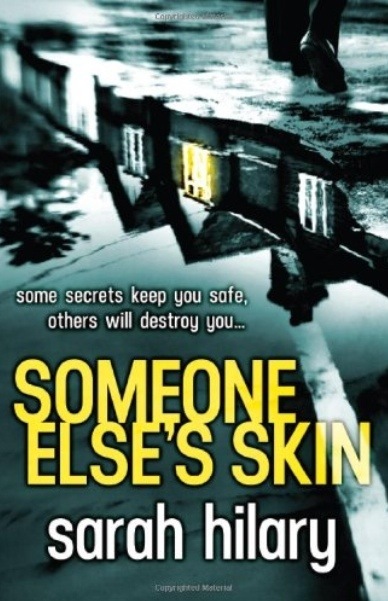 Someone Else’s Skin by Sarah Hilary. Read June 2014. A beautifully written crime novel that kept me guessing throughout. I started my book blog a few weeks before the UK publication date for Someone Else’s Skin so I’ll always remember it as the first book where I was aware of the ‘Twitter buzz’ building. Several of the bloggers I follow posted enthusiastic reviews and in the weeks since then the book has been staring at me from my TBR pile invitingly. At last this week its turn came and I am so pleased to say that it did not disappoint. On the face of it Someone Else’s Skin is a crime fictiion/police procedural debut novel but it is set apart from the pack by the quality of the writing. The detailed and emotive descriptions and the cleverly constructed plot reminded me of Sharon Bolton’s books. The main character, DI Marnie Rome, has a fascinating and tragic back story that is drip fed to the reader throughout the book. Her ‘sidekick’ Noah Jake is by no means your run of the mill police sergeant. The love interest for both these characters will hopefully be developed further in the next book. The ‘baddies’ and victims in the various strands of the plot are well drawn with realistic motivation and the main theme of domestic violence was obviously researched in depth. 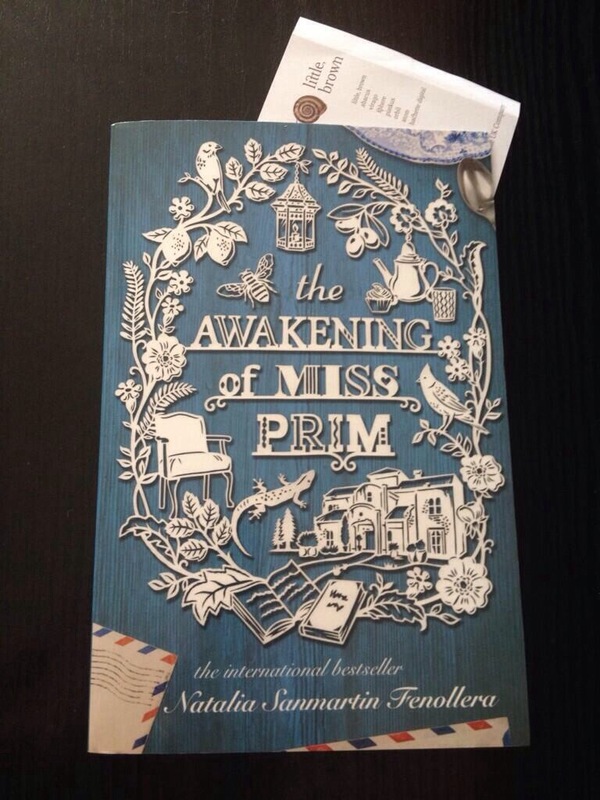 I thoroughly enjoyed this book and wouldn’t hesitate to recommend it to anyone looking for an enthralling read. With thanks to @pamreader for the copy I won in her blog competition. Note to self – don’t wait so long to read next time, the Twitter buzz is usually right. 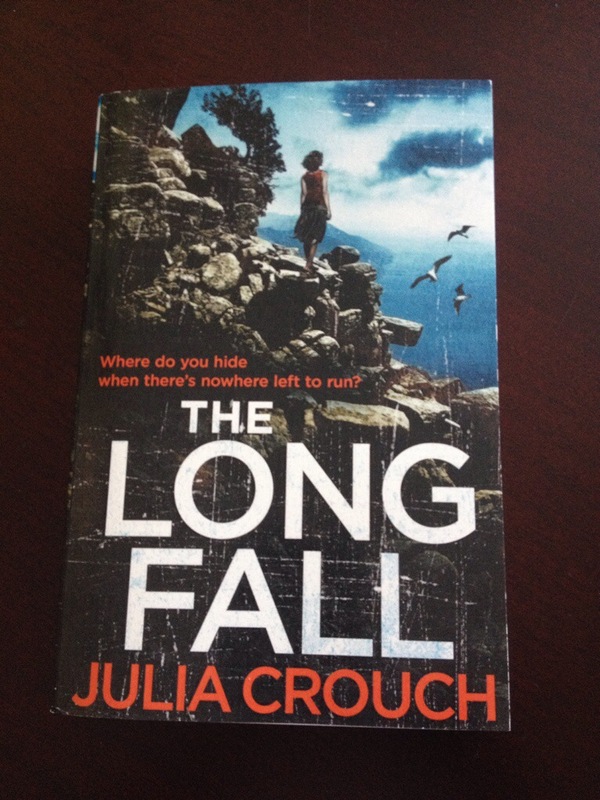 The Long Fall by Julia Crouch. Read June 2014. A masterclass in suspense and psychological turmoil. 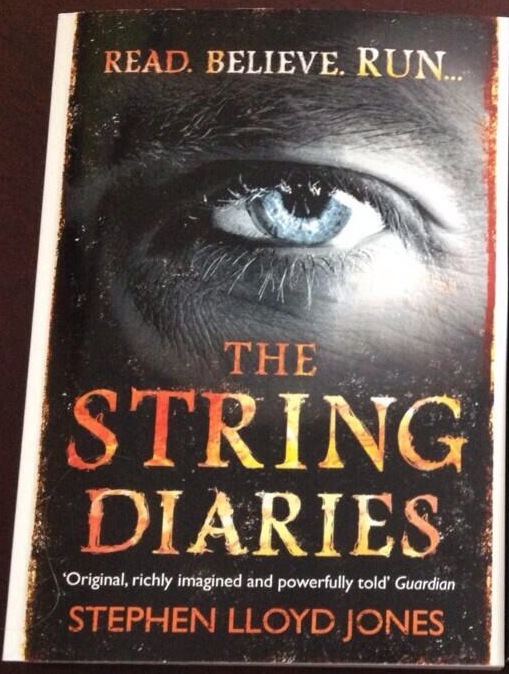 Told partly through the journal kept by 18 year old Emma on her travels in 1980, and partly the story of present day Kate, this is a gripping and spellbinding book with some moments of real horror. The author blends the two strands of the story skilfully, building tension in both ‘time zones’. The story was all the more poignant for me as my age matches Kate’s in the present and, like Emma, I was travelling in the south of France in the summer if 1980. The authenticity of the book suggests the author was doing the same. I swear I could feel the baking heat while I was drinking in the descriptions of people, places and relationships. This is the first Julia Crouch book I’ve read but I’ve made sure another is already lined up in my TBR pile. Highly recommended for psychological thriller fans or anyone who enjoys a well written and absorbing read. 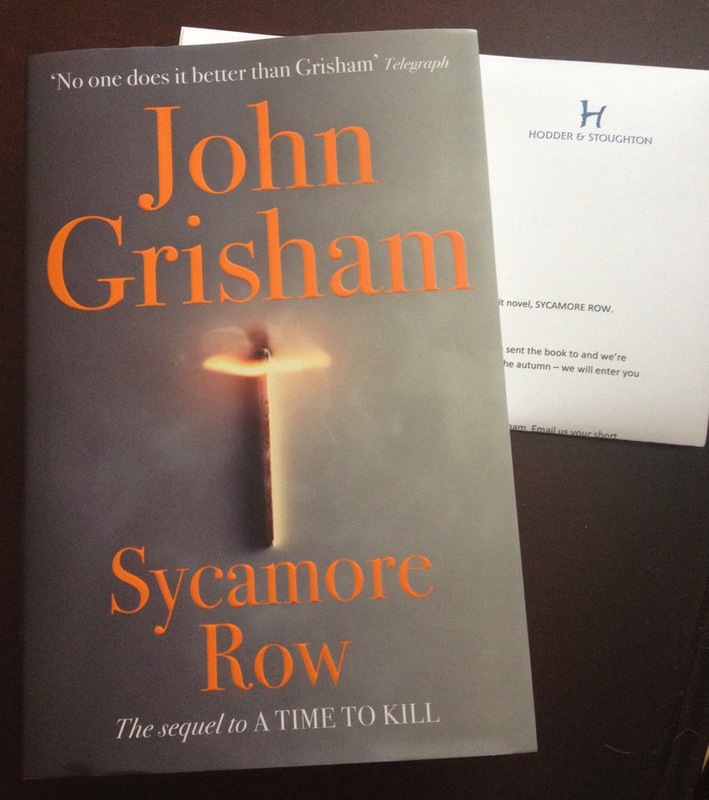 Thank you to the publisher via Bookbridgr and Netgalley for the advance copy. 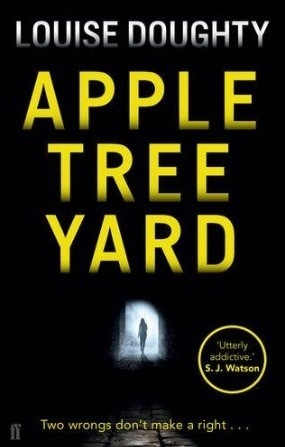 Apple Tree Yard by Louise Doughty. Read June 2014. This is Brief Encounter dragged kicking and screaming into the 21st century. 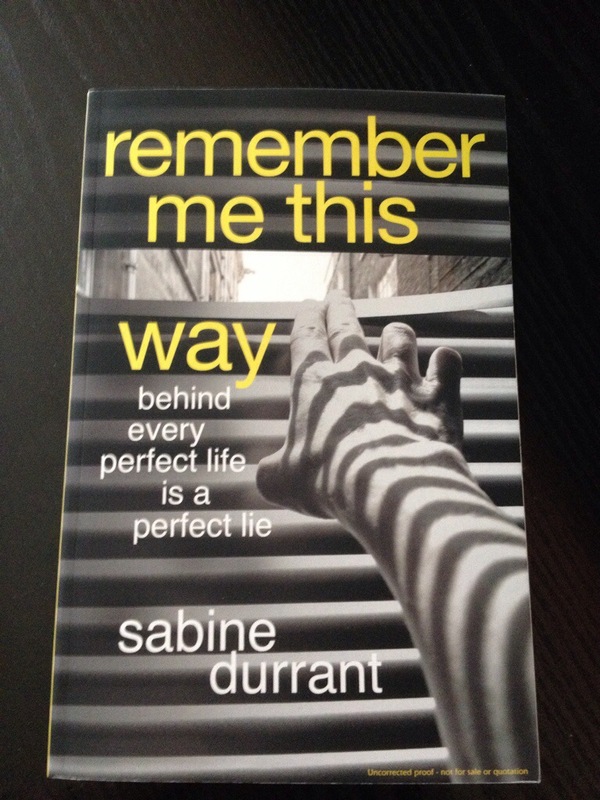 I raced through this book, completely enthralled by the main character’s narration and the shocking and gripping plot. The unlikelihood of the situation she finds herself in is forgotten as the reader follows her from adultery with a stranger through to further actions and consequences she could never have foreseen. The pace of the writing is relentless and will not allow you to put the book aside without wondering if you could just manage a few more pages to see what happens next. I enjoyed this book immensely and would recommend it to any fans of psychological thrillers, though it is definitely not a traditional crime novel. Welcome to my latest Showcase Sunday post – Inspired by Vicky at Books, Biscuits and Tea. These posts, each first Sunday of the month, showcase the books I’ve bought, begged, borrowed or won (I draw the line at stolen!) during the previous month. I’ll try to mention everyone that appears in the blog, in a tweet when I publish the post, but I apologise in advance to anyone I’ve forgotten. A week long event With daily challenges and participants around the world. With thanks to Sam at The Book Corner who tweeted about this event, otherwise I wouldn’t have heard if it. 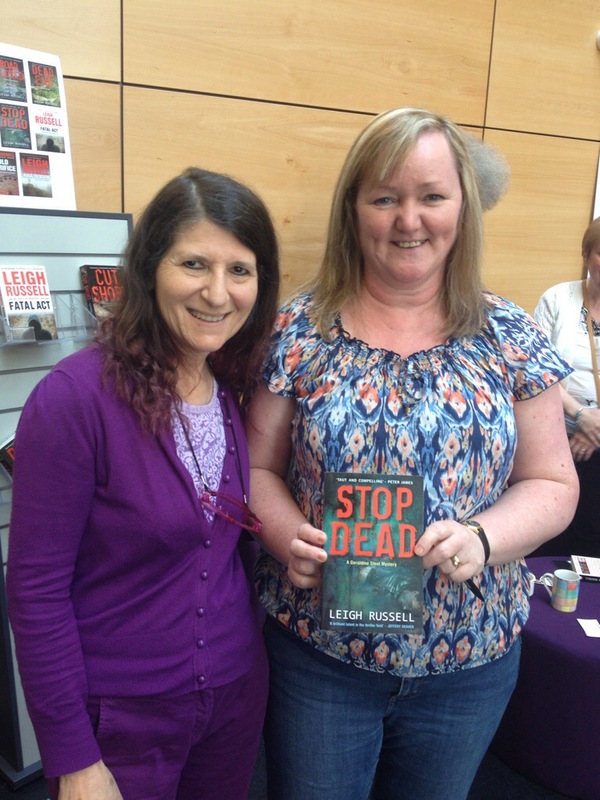 I attended a crime panel event in Wigan and was lucky enough to meet author Leigh Russell and have my copy of Stop Dead signed.